(1) In every district and in every metropolitan area, the State Government may appoint as many persons as it thinks fit to be Executive Magistrates and shall appoint one of them to be the District Magistrate. (2) The State Government may appoint any Executive Magistrate to be an Additional District Magistrate, and such Magistrate shall have [such] of the powers of a District Magistrate under this Code or under any other law for the time being in force, [as may be directed by the State Government]. (3) Whenever, in consequence of the office of a District Magistrate becoming vacant, any officer succeeds temporarily to the executive administration of the district, such officer shall, pending the orders of the State Government, exercise all the powers and perform all the duties respectively conferred and imposed by this Code on the District Magistrate. (4) The State Government may place an Executive Magistrate in charge of a sub-division and may relieve him of the charge as occasion requires; and the Magistrate so placed in charge of a sub-division shall be called the Sub- Divisional Magistrate. (5) Nothing in this section shall preclude the State Government from conferring, under any law for the time being in force, on a Commissioner of Police, all or any of the powers of an Executive Magistrate in relation to a metropolitan area. (b) the Executive Magistrate shall, to the exclusion of any other Magistrate, exercise powers of remand under Section 167 of the Code in relation to the specified offences and for that purpose of the said Section 167 shall be so read as if the words "Judicial Magistrate" or "Magistrate" and the words "District Magistrate" were substituted for the words "Chief Judicial Magistrate". [Vide Punjab Act 22 of 1983 (w.e.f. 27th June, 1983]. The State Government may appoint for such term as it may think fit, Executive Magistrates to be known as Special Executive Magistrates, for particular areas or for the performance of particular functions and confer on such Special Executive Magistrates such of the powers as are conferrable under this Code on Executive Magistrates, as it may deem fit. (1) Subject to the control of the State Government, the District Magistrate may, from time to time, define the local limits of the areas within which the Executive Magistrates may exercise all or any of the powers with which they may be invested under this Code. (2) Except as otherwise provided by such definition, the jurisdiction and powers of every such Magistrate shall extend throughout the district. (1) All Executive Magistrates, other than the Additional District Magistrate, shall be subordinate to the District Magistrate, and every Executive Magistrate (other than the Sub- Divisional Magistrate) exercising powers in a sub-Division shall also be subordinate to the Sub-divisional Magistrate subject, however, to the general control of the District Magistrate. (2) The District Magistrate may, from time to time, make rules or give special orders, consistent with this Code as to the distribution of business among the Executive Magistrates subordinate to him and as to the allocation of business to an Additional District Magistrate. (1) For every High Court, the Central Government or the State Government shall, after consultation with the High Court, appoint a Public Prosecutor and may also appoint one or more Additional Public Prosecutors, for conducting in such Court, any prosecution, appeal or other proceeding on behalf of the Central Government or State Government, as the case may be. (4) The District Magistrate shall, in consultation with the Sessions Judge, prepare a panel of names of persons, who are, in his opinion, fit to be appointed as Public Prosecutors or Additional Public Prosecutors for the district. (5) No person shall be appointed by the State Government as the Public Prosecutor or Additional Public Prosecutor for the district unless his name appears in the panel of names prepared by the District Magistrate under sub- section (4). (7) A person shall be eligible to be appointed as a Public Prosecutor or an Additional Public Prosecutor under sub-section (1) or sub-section (2) or sub- section (3) or sub-section (6), only if he has been in practice as an advocate for not less than seven years. (8) The Central Government or the State Government may appoint, for the purposes of any case or class of cases, a person who has been in practice as an advocate for not less than ten years as a Special Public Prosecutor. "(6) Notwithstanding anything contained in sub-section (5) where in a State there exists a regular cadre of Prosecuting Officers, the State Government may also appoint a Public Prosecutor or an Additional Public Prosecutor from among the persons constituting such cadre." [Bihar Act No. 16 of 1984, S. 2 w.e.f. 21-8-1984]. "Explanation. - For the purpose of sub-section (6), the persons constituting the Haryana State Prosecution Legal Service (Group A) or Haryana State Prosecution Legal Service (Group B), shall be deemed to be a regular cadre of prosecuting officers." [Haryana Act No. 14 of 1985, S. 2, w.e.f. 29.11.1985]. (i) words and punctuation mark "or State Government shall" be omitted. (ii) for the words "appoint a Public Prosecutor," substitute the words "or the State Government shall appoint a Public Prosecutor." [Karnataka Act No. 20 of 1982, S. 2, w.e.f. 3-9-1981]. (iv) in sub-section (9), for the words, brackets and figure "or sub-section (7)", the words, brackets, figures and letter "sub-sections (6-A) and (7)" shall be substituted and shall be deemed to have been substituted with effect from 18th December, 1978. [Vide M.P. Act 21 of 1995, Section 3, w.e.f. 24.1995]. (b) after sub-section (4), for the words "in consultation with the Sessions Judge," the words "with the approval of the State Government," shall be substituted. [Maharashtra Act No. 34 of 1981, S. 2. w.e.f. 25-5-1981]. "(6) Notwithstanding anything contained in sub-section (5), where in a State there exists a regular cadre of Prosecuting Officers, the State Government may also appoint a Public Prosecutor or an Additional Public Prosecutor from among the persons constituting such cadre." [Rajasthan Act No. 1 of 1981 S. 2, w.e.f. 10-2-1980]. (c) in sub-section (7), after the expression "sub-section (6)", the expression "or sub-section (6 A)" shall be inserted. [Tamil Nadu Act No. 42 of 1980, S. 2, w.e.f. 1-12-1980]. "(7) For the purposes of sub-sections (5) and (6), the period during which a person has been in practice as a pleader, or has rendered service as a Public Prosecutor, Additional Public Prosecutor or Assistant Public Prosecutor shall be deemed to be the period during which such person has been in practice as an advocate." [U. P. Act 33 of 1978, S. 2 w.e.f. 9-10-1978]. (b) sub-sections (4), (5) and (6) shall be omitted. (c) in sub-section (7), the words "or sub-section (6)" shall be omitted. [U.P. Act No. 18 of 1991, S. 2, w.e.f. 16-2-1991]. (1) For the words "shall appoint a Public Prosecutor or an Additional Public Prosecutor only", the words "may also appoint a Public Prosecutor or an Additional Public Prosecutor" shall be substituted. [W.B. Act No. 26 of 1990, S. 3]. (1) The State Government shall appoint in every district one or more Assistant Public Prosecutors for conducting prosecutions in the Courts of Magistrates. (2) Save as otherwise provided in sub-section (3), no police officer shall be eligible to be appointed as an Assistant Public Prosecutor. "Provided that nothing in this sub-section shall be construed to prohibit the State Government from exercising its control over Assistant Public Prosecutor through Police Officers. [Vide Orissa Act 6 of 1995, Section 2, w.e.f. 10.3.1995]. "Provided that nothing in this sub section shall be construed to prohibit the State Government from exercising its control over Assistant Public Prosecutor through police officers." [U.P. Act No. 16 of 1976, Sec. 5 w.e.f 30.4.1976]. (c) where the case is before the Court of a Judicial Magistrate in any area, other than the area referred to in clauses (a) and (b), by a local officer (other than a police officer) specifically authorised by the District Magistrate in this behalf. 25-A. Directorate of Prosecution. - (1) The State Government may establish a Directorate of Prosecution consisting of a Director of Prosecution and as many Deputy Directors of Prosecution as it thinks fir. (2) A person shall be eligible to be appointed as a Director of Prosecution or a Deputy Director of Prosecution, only if he has been in practing as an the concurrence of the Cheif Justice of the High Court. (3) The Head of the Directorate of Prosecution shall be the Director of Prosecution, who shall function under the administrative control of the Head of the Home Department in the State. (4) Every Deputy Director of Prosecution shall be subordinate to the Director of Prosecution. 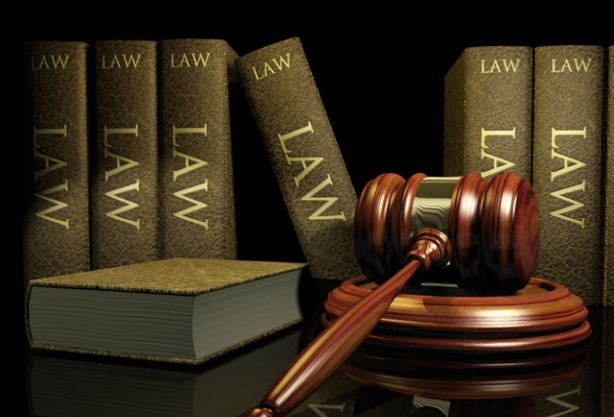 (5) Every Public Prosecutor, Additional Public Prosecutor and Special Public Prosecutor appointed by the State Government under sub-Section 1 or as the case may be, sub-section 8 of Section 24 to conduct cases in the High Court shall be subordinate to the Director of Prosecution. (6) Every Public Prosecutor, Additional Public Prosecutor and Special Public Prosecutor appointed by the State Government under sub-Section 3 or as the case may be, sub-section 8, of Section 24 to conduct cases in the District Court and every Assistant Public Prosecutor appointed under sub-section 1 of Section 25 shall be subordinate to the Deputy Director of Prosecutor.